If there is one thing search engines love more than anything, it is fresh content — and algorithms continue to get better at finding and ranking it by the minute. But what content marketer has enough time to dedicate to feeding the content monster all day, every day? 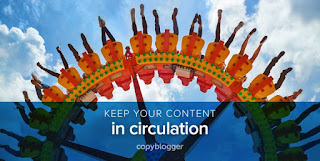 To keep up with search engines and still preserve your time, you have to create a closed-circle content loop for your content marketing strategy. Let’s look at how to do that. A closed-circle content loop is an inbound content system that focuses on both the atomization of brand-new content and the repurposing of old content. By generating many different types of new content while also recycling old content in new and relevant ways, you can ensure that your brand always has a body of fresh work to feed to search engines. Using this two-pronged approach, you effectively close the gap in your content strategy (hence the name) and answer the struggle all content marketers face every day: so much work to create and not enough hours in the day to make it happen! While text content like articles and blog posts may be your content strategy’s bread and butter, feeding the content monster means adding a little more spice to your recipe. Podcasts, presentations, infographics, photos, ebooks, and videos are all important for generating a diverse content offering and boosting your SEO. But content creation is a necessary ongoing investment. Creating all those pieces takes up time and money, whether you’re doing the work yourself or hiring a writer to do it for you. When you take one big piece of new content and repurpose it in a variety of ways, you’ll cut down on the time and cost of creating fresh work. Say you own a construction consulting business. You could create an in-depth 10-page ebook to teach customers how to renovate a master bathroom. That ebook can also work as an infographic, a series of “quick tip” social media posts, a video series on YouTube, and more. By publishing in a variety of formats, one piece of content can multiply into many fresh avenues to connect with your customers. And that means fresh content for search engines. Unfortunately, nothing stays fresh forever — all types of food (even Twinkies!) have expiration dates. To feed the content monster, you’ll have to continuously revisit your old work. Create a content calendar that resembles the table of contents for a book or user guide. Decide when each piece of content will become outdated and in need of a reset, and mark it on the calendar. By keeping track of your publication dates, you’ll be able to recycle content many times over using the same atomization strategy you use for new work. 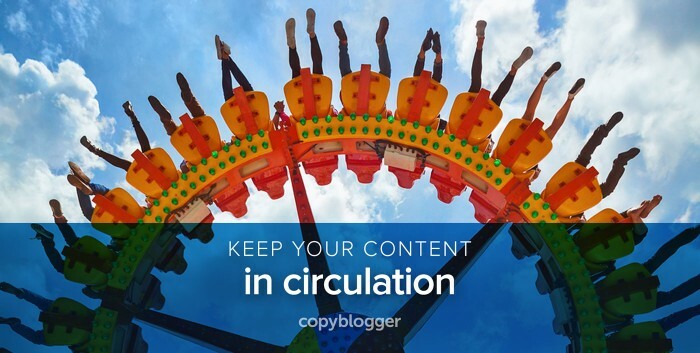 These tips will help you create more effective content for your closed-circle content loop. Many experts have weighed in over the years about whether quality or quantity matters more for content marketing. I’m here to tell you, when it comes to your SEO, the answer is actually both. If you want to see real results in search engines, you’ll need to post quality content in higher volumes. For a small business, this usually means creating something fresh once a week or every other week. Sure, you’re creating fresh content for search engines, but so is everyone else. In such a saturated market, sometimes your title is the only tool you have to attract readers to click on a results page. Keywords can help. From your title to your body text to your captions and video descriptions, all of your content needs to contain the right keywords for SEO to make sure you are found by the right people in the first place. Imitation is the sincerest form of flattery, and that goes for content inspiration as well. SEO-savvy content marketers undoubtedly have a list of fellow influencers and websites that they trust for insider knowledge. Use it! Most of your content will be created from scratch, but you can also create original work that is inspired by your favorite work online. Did another business in your industry release an annual report jam-packed with awesome research? Consider writing an article that highlights the best pieces of data and add your personal insights to what that data means for businesses. If you want variety, get different writers. Boost the amount of content you’re churning out by inviting your community to become guest contributors. Your biggest advocates will gladly create content in exchange for exposure. Plus, user-generated work creates a fresh dynamic for your brand and encourages other fans to engage with your company. Don’t waste time on content that doesn’t convert. Track everything you publish, and note the pieces your customers clearly respond to. Knowing what your audience wants to read or watch online will help you create new content in the future that speaks to their needs, and it will make sure you don’t waste time repurposing and recycling content that doesn’t actually work. Content is the heart of your online lead generation efforts. Its impact on SEO is crucial to the success of your website, and ultimately, your business. But creating enough fresh content to satisfy search engines can be tedious and time-consuming, especially for smaller businesses with limited resources. As a content marketer, you need to know time-saving content generation tactics and hacks that will feed your content monster, helping you boost your rankings fast and well. By using a two-pronged, closed-circle content loop strategy, you’ll make the most of your content creation efforts and ensure that nothing you write (or design or record or film) ever goes to waste.